Good morning, lovelies! It's me, Whitney, the newest contributor to The Blended Blog! 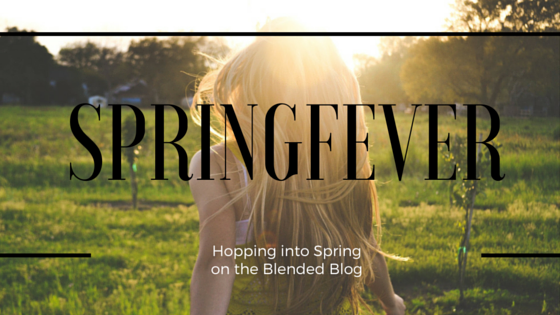 I have so enjoyed getting to know the other ladies of TBB through their Spring Fever Series. 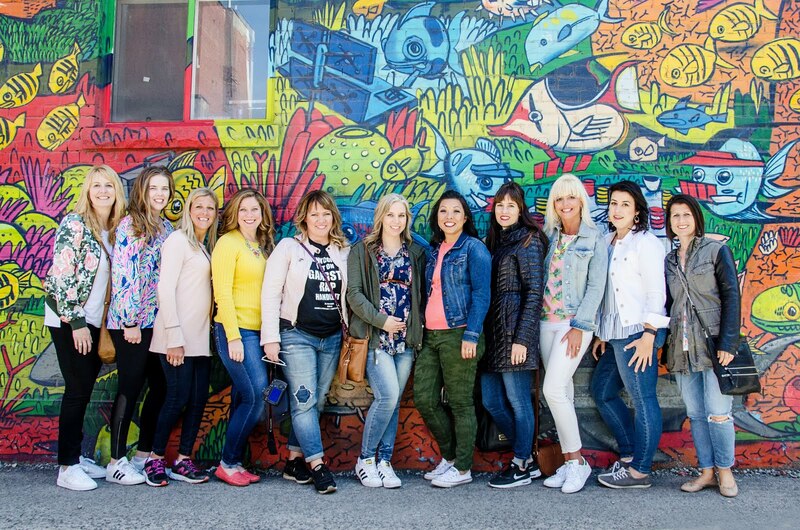 So many fun topics have been covered from fitness and fashion to cocktails. 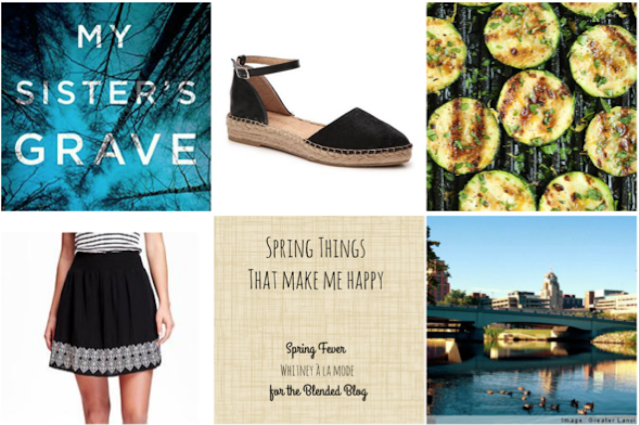 For my post, I decided to write about a variety of things that have me excited for spring! Reading Weather: So I actually get excited for reading weather during all seasons! Let me explain, isn't it refreshing to sit on the porch in a sweatshirt and read with the crisp, fall breeze blowing through your hair? And cozying-up on the couch with a good book and a mug of hot cocoa during a blizzard just can't be beat! Except for maybe when the spring sunshine and warm air come through the newly opened windows while you enjoy your latest read! That is the reading weather I'm currently loving! I recently discovered the Tracy Crosswhite Series by Robert Dugoni and am flying through each book. They are mysteries (my favorite) with a strong female lead set in the beautiful northwest of the United States. The Kindle versions are a great deal right now and I would highly recommend the series if you enjoy mysteries like me! Fun Flats: I reside in the great state of Michigan so my feet are stuffed into socks and boots for many months of the year. Spring shoes feel so fun and fresh when the weather finally warms-up (now if only I could get it to stop raining...)! I recently purchased these and they are so comfortable! I like that I will be able to wear them dressed-up for work or casually with a pair of jeans. They are also fitting with a trend in flat espadrilles that I'm noticing lots this season. Fresh Veggies: I have been making an effort to eat healthier lately so I have been loading-up on the veggies! When you actually eat the recommended serving of vegetables each day it is a lot. I like vegetables and sometimes I still struggle! Luckily spring brings back farmers' markets and roadside produce stands. The freshest of veggies makes eating so many of them a bit more bearable. I've also been pinning recipes to spice-up my veggie side dishes. Doesn't the grilled zucchini above look delicious? This salad and that salad also look refreshing! No Tights: Did I already mention that Michigan winters can be long? As much as I love wearing tights with my skirts and dresses, they can get kind of old after a few months with their rolling, bunching and drooping. I love when the weather is finally warm enough that I can let my legs breathe! Bare legs renew my interest in skirts! I recently purchased this one and it is super comfy and versatile. In fact, I did a review post last week that featured lots of fun skirts that are currently in stores! Walking Outside: I used to live in Bordeaux, France and my favorite thing about the French lifestyle (aside from the bread) was that cities are set-up so that you can easily walk everywhere. I currently live in an apartment where I get a tiny taste of that and can walk to the grocery store and a few other places. During the winter, I opt to take my car, but now that it's warming-up I'm back to walking! It's also fun to talk walks just for the heck of it. I found this really useful website where you can look-up walking trails by state. I tried to find something similar for Canada but only came across sites dedicated to specific regions. Nevertheless, the internet is full of ideas about new trails to explore! And what about you? Do these spring things make you happy as well? What are you most excited about this season? 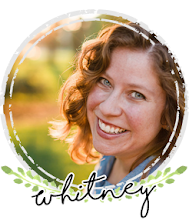 Whitney is the newest contributor for The Blended Blog and also shares her thoughts over at Whitney à la mode. 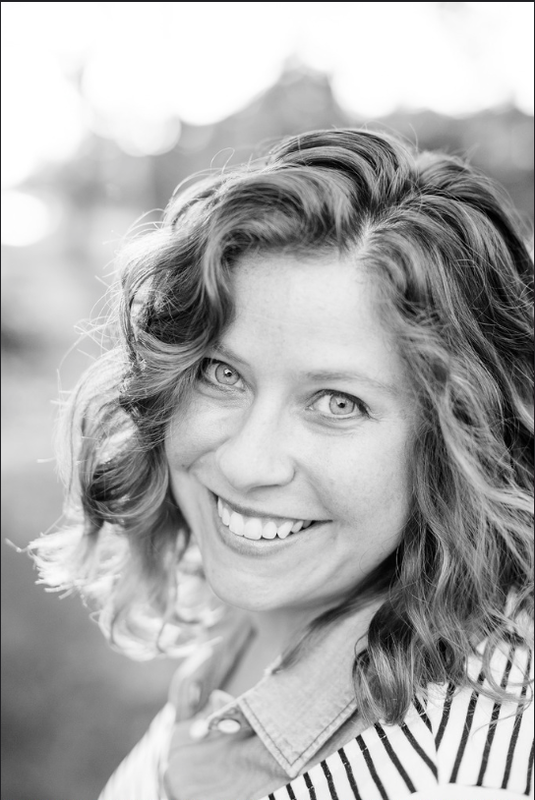 She is a French teacher with a passion for fashion, her cat, strawberry pie, the Mitten State and either a glass of red wine or a cup of coffee (depending on the time of day). Whitney à la mode is mostly a personal style blog with a sprinkle of lifestyle posts. In English, we often use "à la mode" to order ice cream with our dessert. However, in French, "à la mode" means in style. Please join Whitney on her journey in becoming a bit more "à la mode!"